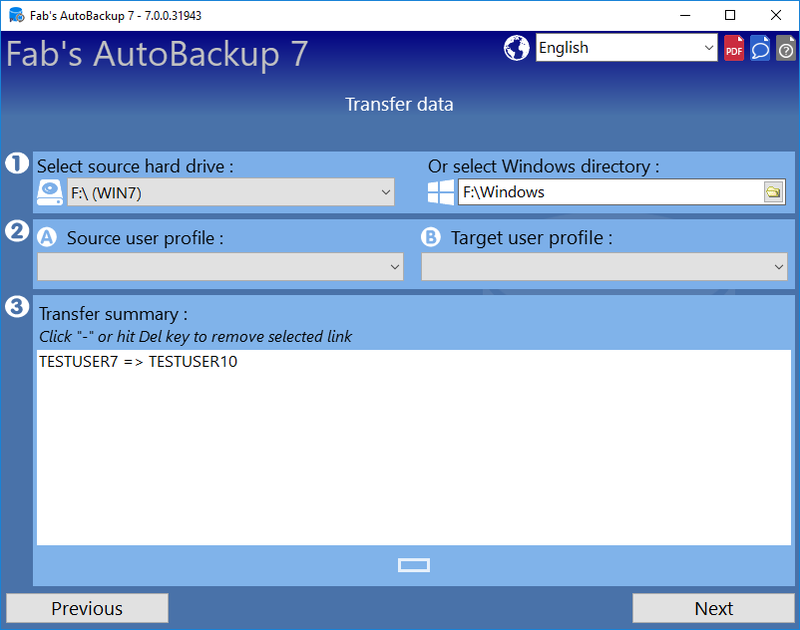 Although it is very easy to use, this version is mostly designed for professionals like computer repair shops and other power users who need to backup data from several users profiles at once or from an unbootable hard drive. It also allows performing direct disk-to-disk data transfers. 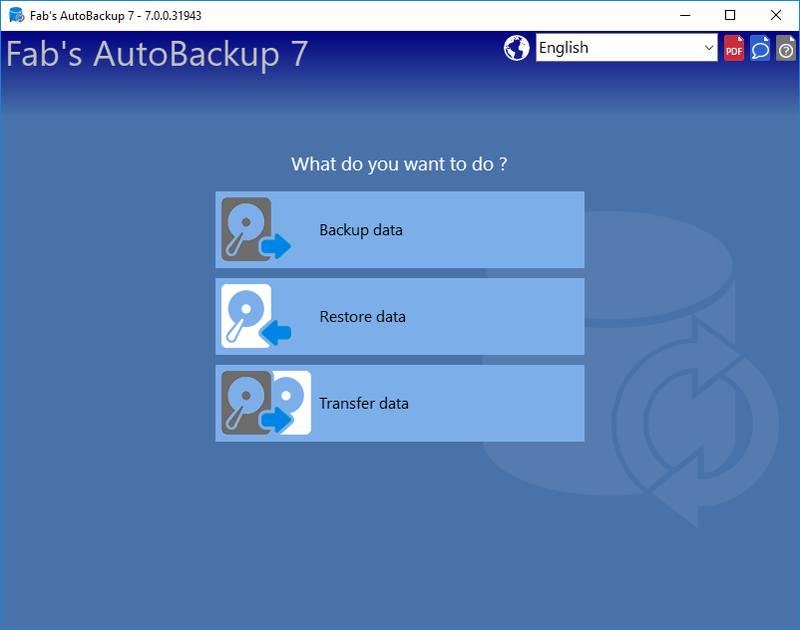 So, you can backup, restore and transfer various files and settings like documents, pictures, videos, e-mails and so much more at once for every user profile on a bootable or not) system drive! Finally, all Fab's AutoBackup 7 versions can use VSS snapshots, allowing to copy files locked by other processes. - Other hard drives than the current system drive can be selected. This feature allows data backup from damaged computer that would not start the usual way. - Direct users data transfer from the old hard drive (slaved or USB mounted) to the new computer. If needed, you can create users accounts directly from the program's interface before performing the transfer. - Ability to take VSS snapshots from source drives. This allows to copy files locked by another process. The license has no number of users or number of computers limit. In other words, all the technicians in a company can use the same license on an unlimited amount of computers. You will wonder how you could work without it! IMPORTANT : updates are included for 1 year (there is an option for a 3 years duration). Time is counted down from purchase's date. Once this delay over, the program will still work normally but if you want to update it or just download it again, you will have to purchase a new license. To get updates, just use the download link you got with your order. You will find it under your account's orders hisory's section.